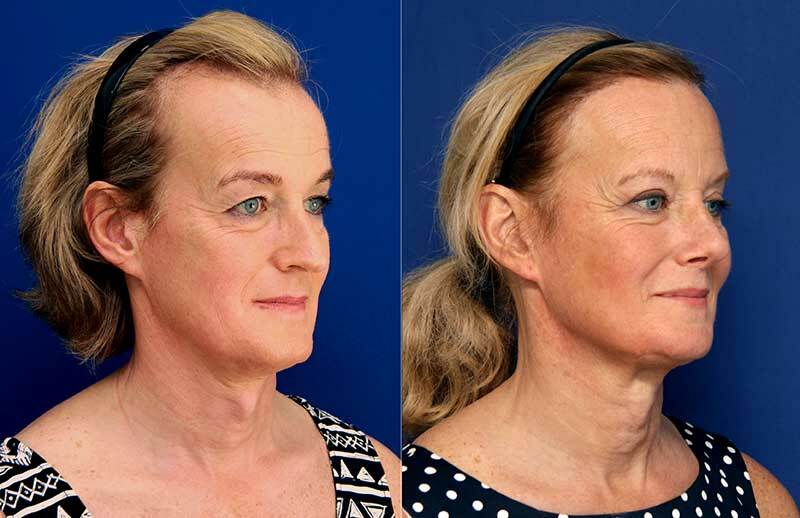 Facial feminization surgery of the upper third of the face. Years of research and experience have proven that one of the keys to providing natural, satisfactory results to patients of facial feminization surgery is to assess and reconstruct the upper third of the face as a whole. The upper third of the face contains two gender characteristics that are particularly important for facial feminization: the bone structure of the forehead and the hairline. A prototypical female forehead is generally smoother, more rounded and with a less prominent brow ridge, and the hairline has a more rounded shape compared to the M-shape often seen in masculine hairlines. Many patients are able to obtain much more impressive results from their forehead reconstruction surgery when it is enhanced with a hairline feminization procedure as well. A comprehensive feminization of the hairline requires minimizing the peaks and recessions, which create this characteristic M-shape, as well as rounding out the overall shape, optimizing hair density and occasionally changing the height of the hairline. A very widely held misconception today, even among FFS surgeons, is that the female forehead is shorter than that of a male; this unfortunately leads them to perform many hairline lowering procedures when, in fact, the female hairline is actually higher when measured proportionally against the rest of the facial features. 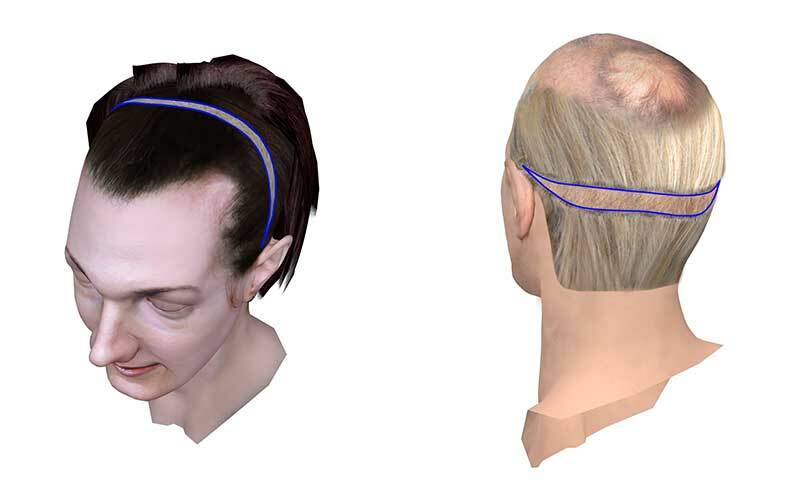 We at FACIALTEAM are able to provide better results to our FFS patients thanks to research performed by Alexandra Hamer, a facial gender analyst and expert in virtual facial simulation at VirtualFFS.co.uk. In her 14 years of research, Ms. Hamer has found that “bringing the whole hairline forwards is not only unnecessary in a majority of cases but can sometimes even be detrimental and mildly masculinizing.” She explains that it is the characteristic M-shape of male hairlines that gives the illusion of a wider and taller forehead. The traditional hairline lowering surgery (HLS), in addition to being unnecessary or even detrimental to an FFS patient’s results, also has multiple disadvantages, including: 1) the possibility of leaving a visible scar in a highly exposed part of the face; 2) the possibility of leaving an excessively short forehead in the center region, which could produce unnatural results; 3) the inability to fill in recessions to achieve the rounded shape characteristic of feminine hairlines. According to our analysis, HLS is suitable for one out of every 20 patients. In order to provide our patients with the best possible results in forehead feminization, our multidisciplinary team of experts in craniofacial surgery and hair transplants have developed a revolutionary combined approach that allows forehead reconstruction and hairline redefinition with hair transplants to be performed in a single procedure, with no visible scars. This cutting-edge technique, called the Forehead Reconstruction and Simultaneous Hair Transplant (FR and SHT) technique, allows patients to achieve exceptional and natural looking results for the upper third of the face in a single operation without additional risks resulting from prolonged general anesthesia (hair transplants are performed under mild sedation, not general anesthesia). FACIALTEAM has developed a revolutionary procedure to access the frontal-orbital region for forehead reconstruction through a hidden incision in the scalp, eliminating unsightly scars at the hairline when traditional hairline lowering surgery is not indicated (the majority of patients). The results of this procedure have proven to be very aesthetically pleasing and natural looking. For several years, we have provided this combined procedure to FFS patients, allowing for unified redefinition of the upper third of the face, including the two most important gender markers in that region: the hairline and forehead. With this approach, we have been able to provide excellent results to our patients, particularly those who have been affected by hairline recession or hair loss. All forehead reconstruction patients now have the option to redefine their hairline with hair transplants (FUSS technique), filling in peaks and recessions and rounding out the overall shape, in the same operation. This comprehensive, unified treatment is performed in two stages. The patient undergoes the forehead reconstruction procedure under general anesthesia, where the frontal-orbital region is accessed through an incision made in the scalp at the crown of the head. A strip containing many high-quality hair follicles is removed from the crown as a result of this incision, and the follicular units (FU) are harvested by highly trained technicians while the reconstruction surgery is being performed. When the reconstruction is finished, the patient is transferred to mild sedation. The hair transplant surgeon will design the patient’s new hairline based on the structure of the patient’s facial features, the desired feminine shape, and corrections that may be needed for hair density in peaks and recessions. Follicular transplants allows for a very natural hairline design, with softening of the corners and correction of hair loss to give a more feminine appearance. The follicular units are meticulously assembled by trained technicians using sophisticated technological instruments, and inserted into the marked areas by the hair transplant surgeon. As an added bonus, the closing of the incision in the scalp produces a slight, natural looking brow and forehead lift, which contributes to the feminine aesthetic of the final results. 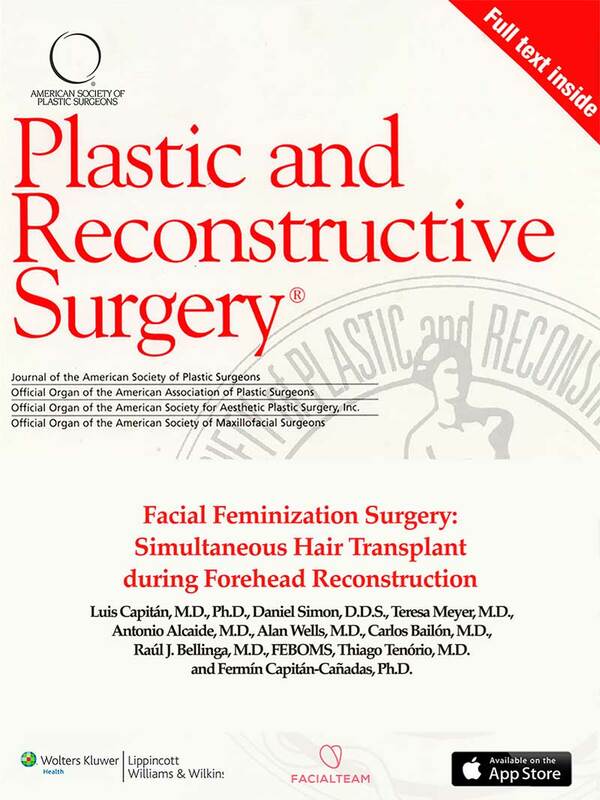 The experts at FACIALTEAM are thus able to provide patients with the highest quality results in facial feminization currently available anywhere in the world, combining a surgical reconstruction of the frontal-orbital region with a natural hairline redefinition through hair transplants in a single operation – an approach that is not only comprehensive, but truly innovative in the field of FFS.